The TPCS textile ply cutter/splicer system automatically produces an endless strip of radial textile body ply out of calendared stock material. 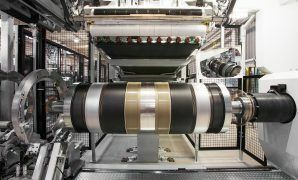 The body ply strip is wound in reels or cartridges, ready for use in tire building systems. The machine produces highly uniform body ply with a consistent splice overlap. The quick change over stock let-off and wind-up systems are designed to suit existing tire building logistics. The machine provides the operator with an excellent overview for monitoring the automatic process and good access to the splicer unit. 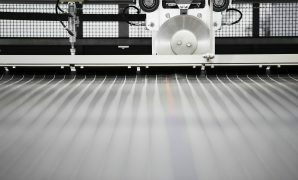 The basic system comprises several modules: The shuttle let-off unwinds the calendared stock material at a constant tension while separating it from the liner. A dust free disc & bar cutter cuts the calendared stock material under 90° as presented by the length measurement conveyor. As the disc & bar cutter actually cuts the material it does not produce any loose particles, making the process dust free. The self-grinding top knife has a long lifetime and can easily be exchanged by the operator. 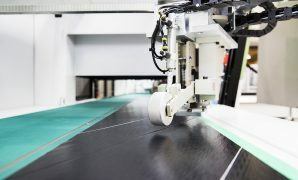 The supply conveyor positions the cut ply strips in front of the splicer unit where the trailing end of the previous strip is waiting. 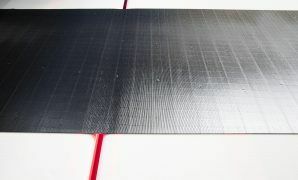 The splicing is done in a highly controlled process, by pressing the ply leading end, hanging over the supply conveyor belt, against the ply trailing end. The splicer makes an adjustable splice overlap and the ply strips are discharged by the discharge roll. A mechanical guiding positioned just behind the splicer unit assures correct positioning of the materials. The intermediate conveyor balances the intermittent speed from the discharge roll and feeds the ply strip towards the wind-up. The dual shuttle wind-up for reels winds the ply strip onto shaft driven reels. The wind-up features a lifting system which is manually operated with a lever.